Property 13: Tranquil spot away from the crowds! Property 23: Stunning Water Views. Near Falmouth, Truro, Helford River, South & North Coasts. 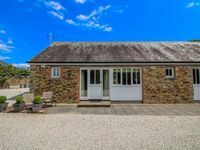 Property 33: Perfect for visiting Heligan Gardens. Property 39: Upside down barn conversion with enclosed garden - very doggy friendly! Property 40: Greenacres Family Farm, Help on the farm. 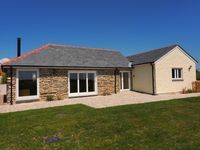 Property 47: Beautiful barn conversion! Fabulous holiday cottage. What a divine find. We couldn't believe the quality and provision of everything we could possibly think of. We had a wonderful week here and I'm sure we'll be returning. The kitchen had everything we could possibly need - a full freezer (not just an ice box), washer/dryer, even a hand blender so I made some soup. Lots of crockery and glasses and pans. It's a 1/2 size dishwasher, but we just put it on more regularly than we would have at home. The kids were thrilled to have good wifi too. The view is amazing across the hills and you can even see the sea in the distance. The bed is lovely and firm and comfortable. The bath is a lovely deep one. It really is a perfect little cottage. Would highly recommend.